Over 120 Aboriginal communities run their own health services – some have been doing so for 30 years. They struggle with difficult medical problems. They also try to deal with counselling, stolen generations issues, family relationships, violence, suicide prevention. 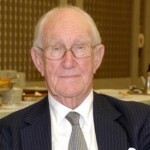 John Malcolm Fraser is a former Australian Liberal Party politician who was the 22nd Prime Minister of Australia. He came to power in 1975 through the dismissal of the Whitlam Labor government, in which he played a key role. After three election victories, he was defeated by Bob Hawke in the 1983 election and ended his career alienated from his own party.